With so many kinds of digital products coming to our life, the way of listening to music also changed a lot. There are many music players, music app are designed for different computer operation systems and smartphones. Maybe you have used so many kinds of music players or app, and have different feelings and experiences. 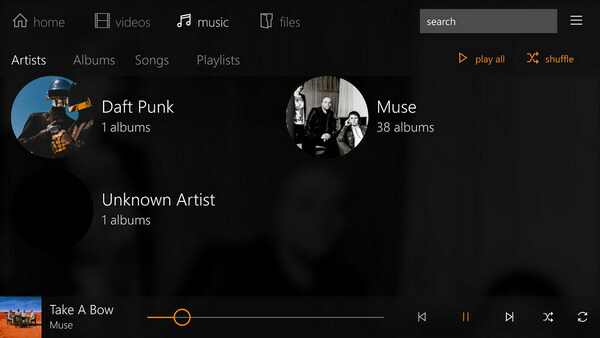 Here this article shares the best and most popular music players for Windows. Beoplayer is free software whose developer is Bang and Olufsen (B&O). When you first configure Beoplayer, the registration code is needed. Bang and Olufsen is one of the world's top digital equipment providers in Denmark, and the unique and noble is their product design concept, so their product has been sought after and adored by music lovers all over the world. Beoplayer is known as the world's best sound quality MP3 player. Cool Interface: Color matching is based on black background with white, gray text, and a few red to make it more perfect. Better Sound Effect: It has some effects on sound quality. A lot of crackling and noise can be modified when playing MP3. It could be responsible to say that Beoplayer does not need any hardware device to improve MP3 audio effects. Special Music Play and Download Software: When you set up it at the first time, "Beoplayer" will automatically search your computer's digital music, and then lists a detailed list, so that you can feel free to download and play music. Very Simple to Use: Automatically updates digital music artist, track names and other information, then Beoplayer automatically files the name of your singer, track and file name for order, so it is definitely a good software helper for you to manage music. Audio Formats Supported: Supports major music formats, including CD, MP3, WMA, but not the popular lossless format such as APE, FLAC, and music CD also can be transcribed on to the hard disk. 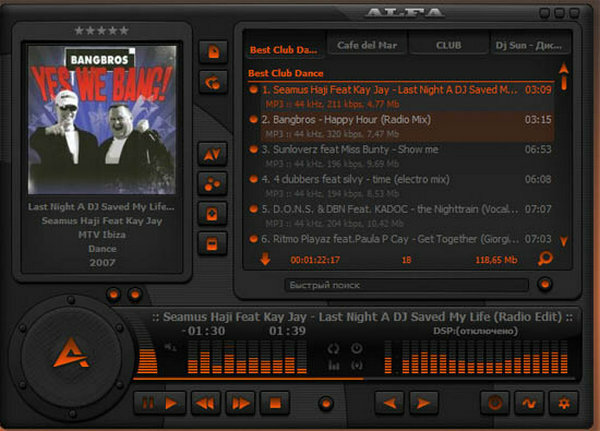 Foobar2000 is a free multi-purpose audio player whose developer is the member of the Nullsoft Winamp, Peter Pawlowski. Other than other music players, it also supports generating library, converting media file encoding, extracting CD and other functions, so it is a powerful audio processing tool. According to many professional tests, its noise reduction feature makes Footbar unique in all the media software, so other music players cannot be comparable with it. Foobar2000 is a professional digital audio playback tool, and focus on technique. So a lot of technical knowledge of digital audio during the using process makes ordinary users are often overwhelming. Default interface using the Win32 GUI. 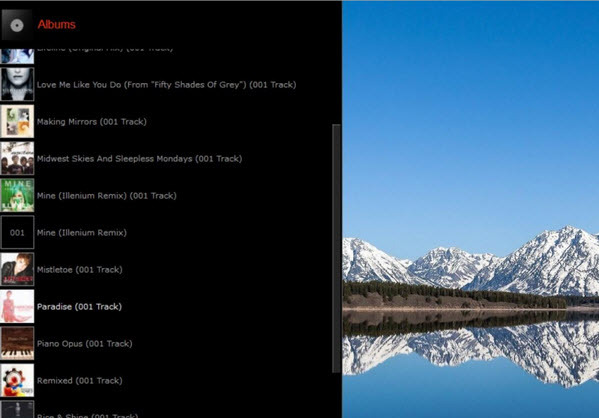 Thus greatly enhance the aesthetic appearance of foobar2000. All the menu options and commands can be done through a combination of keys and can be rearranged by the end user. 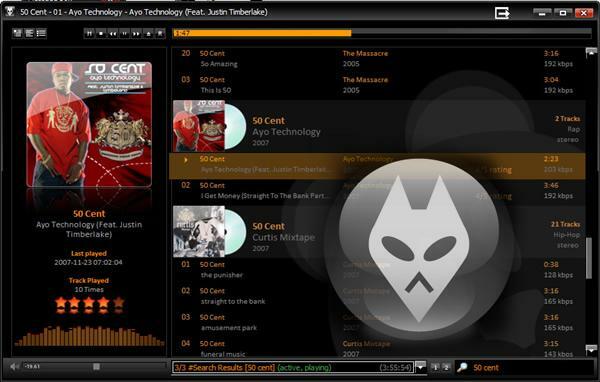 AIMP player is known as the NO1 player in Europe and considered to instead WINAMP music player in foreign countries, and the latest version is AIMP3. It can be launched very quickly without any delay. Importing music speed ranking first, about thousands of music can be dealt with for a moment. Each album in playlists has been set apart from each other obviously, which makes it very fast to find music. Beautiful skins are here for selecting and being replaced quickly. It takes up only a little users system memory and runs smoothly. Supported Formats: Except for supporting some usual formats like MP3, AAC, OGG etc, and also supporting some special formats like APE,FLA, ACC and so on. Diverse Playlists: You can check the traditional playlist pattern or “new style playlist " to display more detailed information of each song. Hotkey Manipulating Playback Supported: AIMP provides a large range of hotkey custom functions, so you can also easily operate it without mouse. VLC Media Player is a multimedia player planed by VideoLAN. It supports many audio and video codes and file formats, and supports DVD audio discs, VCD video discs and various streaming protocols. This software was launched by French students and participants came from all over the world. Multi platform is designed to support and it can be used to playback network streaming and local playback of multimedia files. VLC media player supports cross-platform. It has multiple versions for Linux, Microsoft Windows, Mac OS X.
VLC also has a very good feature – support playback the part of video that has not been downloaded. VLC Media Player is indeed a powerful player, because it not only supports most of audio files formats, but also supports many video files formats, like DVD, CD and other usual formats. But there is an exceptional for M4V videos downloaded from iTunes. Because the DRM protection is inserted to the videos to limit users transfer them to other non-Apple devices and other video players, VLC Media Player can't play these iTunes videos which you purchased or rent from iTunes store. But it does not mean that you can't enjoy iTunes videos on VLC Media Player, you just need to remove DRM protection from iTunes purchased or rental videos. Here NoteBurner M4V Converter Plus is a DRM removal and M4V videos converter that you should not miss. NoteBurner M4V Converter Plus (For Mac | For Windows) is an excellent M4V DRM removal tool for Windows and Mac users. With this powerful DRM M4V Converter, you can legally remove DRM not only from iTunes purchased M4V movies, but also from iTunes rentals, including iTunes Extras. In this way, you can enjoy iTunes movies on non-apple device without iOS restriction and play them on other video player like VLC Media Player. What's more, lossless quality, AC3 Dolby 5.1 audio, multilingual subtitles, closed caption and audio tracks (including audio descriptions) of iTunes videos will be preserved while converting at 20x speed. 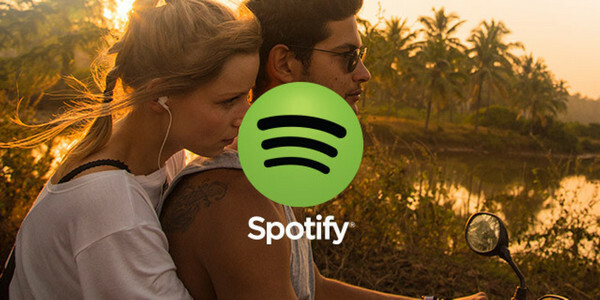 Spotify as music-streaming service which is originated in Sweden and is the world's largest streaming music services. Spotify provides music protected by digital rights management, including Sony, EMI, Warner Music Group and Universal four record labels and many independent labels. Its users reached more than 100 million by June 2016. Multi-Platform: Supporting Mac, Windows, Ubuntu and Debia of Linux system. High-Quality: Using Ogg Vorbis Q5 codec encoded and audio stream is approximately 160kb/s. Rich Music Library: Almost all of the major European and American pop music can be found here, even some rare albums. On-Line Demand: database is open to users, so users are free on demand music. Because Spotify provides Spotify Free (160kbit/s) for users, you can enjoy music freely but with advertisements. 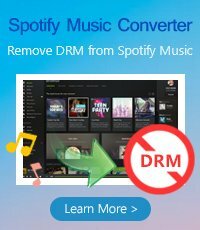 And if you are subscribers of Spotify Premium (320kbit/s) and you want to save the downloaded music forever and transfer downloaded music to other portable devices, like MP3 player, CD, you need to find a way to remove DRM protection from Spotify music. Here NoteBurner Spotify Music Converter is highly recommended. 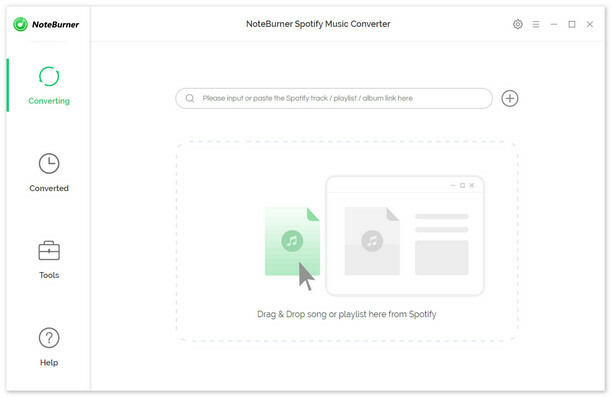 NoteBurner Spotify Music Converter can convert all your Spotify songs and playlists to plain MP3, AAC, FLAC or WAV. Thus you can enjoy the Spotify music on any of your device offline, while at the same time keeping 100% original quality of Spotify music. And you are able to set output quality ranging from 64 kbps to 320 kbps and conversion speed while converting Spotify music to MP3, AAC, FLAC or WAV. PS: The free trial version only enables you to convert the first 3 minutes of each songs. You can buy the full version to unlock this limitation.